ATS has been developing performance parts since 1995 to enthusiasts all over the world. Its race proven drive train parts are especially well known throughout the performance industry. ATS carbon clutches have unparalleled torque delivery and excellent engagement characteristics. The current version is Spec II. Our Carbon Hybrid Clutch and Full Carbon Clutch made its debut in 2013 and in 2014 respectively. Released in 2014. 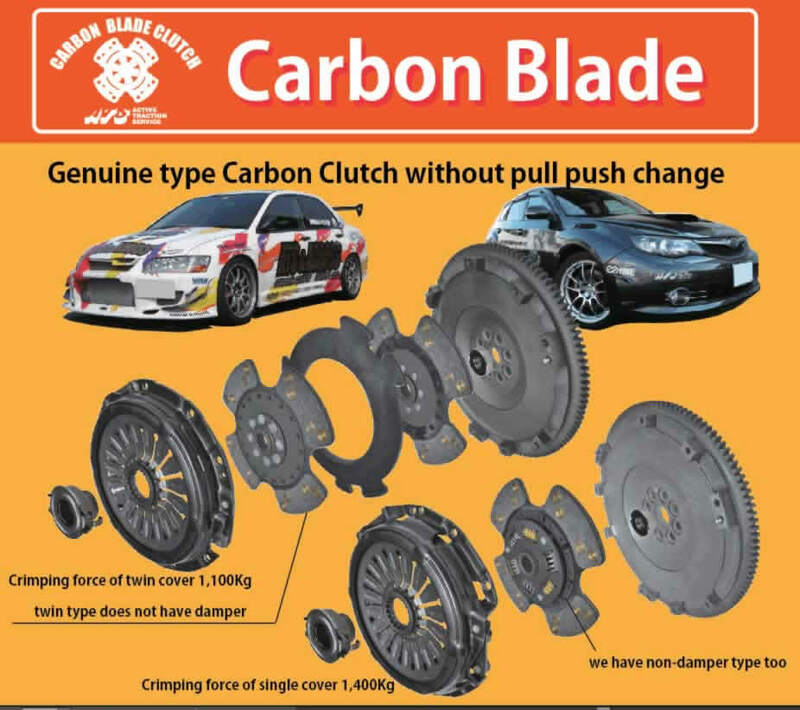 ATS carbon blade clutches, which are stock-compatible, can provide a superb performance with a reasonable cost. No pull-push conversion is required. The Super Blade (pull-push conversion is required) was added in March 2015. * Metal clutches - Special clutch disc transfers more torque and lighter flywheel produces crisp engine response. More applications in Jan, 2013.